In the world of whisky, few are more qualified to speak about both the science and craft of whisky making than Dr Rachel Barrie from Brown-Forman. Dr Rachel Barrie is the newly (relatively) installed master blender at Brown-Forman. Unless you’ve been living under a rock these last couple of years, you’d know her from her previous work with Auchentoshan, Bowmore and Glen Garioch. A master blender with a doctorate in chemistry is as rare as they come so when DFS Singapore offered us a chance to speak to Rachel we couldn’t say no. Not only could we find out what she had in store for Glendronach, Benriach and Glenglassaugh, it was also a golden opportunity to ask her: is whisky making art or science? “Whisky making is much more than an art or a science. For me, whisky is looking deep into nature and understanding it much better,” said Rachel. Rachel Barrie on the Art and Science of Whisky Making. The art – or the science, or both – was something that Rachel Barrie grew to learn and embrace. To her, it was about connecting all the dots. She learnt that she has to acknowledge the influence of the landscape; recognise the significance of the process, the people involved, and the ingredients used. It’s about understanding that everything makes a difference: change one thing and it’s all going to change. “It’s not just about looking at things as chemistry or sensory (factors). It’s the interaction of everything. I suppose, in many ways, it’s working with nature, it’s working with the palate, and then it’s creating the best you can through your own understanding. In the past three years I have grown to think of things more that way, and really appreciate the influence of nature much more than the influence of human control,” she said. Rachel likens the process to that of playing a musical instrument. The science is music theory, but at the end of it all, playing music is more than just a cold regurgitation of scales and modes – it’s about the chemistry between the theory, expression and intuition. Likewise, the science of whisky making is undoubtedly important and the analytics and methodologies are critical for one’s understanding. But what she found was having a ‘sense for everything’ helped her appreciate much more than she had before. “You could move a distillery, literally a mile down the road, and use the exact same techniques and it won’t be the same. It’s all the things we cannot see,” she said. It’s a sense that has shaped her approach to whisky making to what she calls, ‘nurturing the best nature of each distillery’. It’s in essence, art and science. Like you would with children, you have to understand their nature and how their environment influences them before you can help them realise their full potential. Though her training was deeply rooted in science, Rachel was quick to acknowledge the significance of the hidden powers that be; or rather, factors that were beyond planning and control. In fact, it was such an instance that kickstarted her storied journey in the whisky business. She hadn’t planned on a career in whisky. The circumstances that led to her hire by a certain Dr Jim Swan, was pure coincidence. Had she not cycled past a certain careers office at Edinburgh University and thought to look in to see if there were any jobs about, she might not have chanced upon the lone advert for the Scotch Whisky Research Institute. “I might have been working in pharmaceuticals or oil as a chemist… that’s what it is, isn’t it? Luck and synchronicity, that’s what it’s all about,” she recalled. Rachel had plenty of sentiment for her greatest influence. Through his tutelage she gained the appreciation for both the science and the esoteric workings of whisky making, developing not only the science behind the techniques but also an intuition for what is needed to make the whisky better; be it to enrich its fruitiness, getting the best out of an old cask, air seasoning the wood or optimising mashing conditions for making a clear wort. All that work at the Scotch Whisky Research Institute gave her the strong foundation as well as the network that would land her a job at Glenmorangie. They knew her from her work with them on warehousing projects and cask analysis. Her journey then led her to Morrison Bowmore and now Brown-Forman. Brown-Forman used to own ten percent of Glenmorangie, so there were many people that she knew from back then. When they approached her, she did not hesitate for long. It was another instance of said synchronicity: the head office is five minutes away from her home in Edinburgh; she was born five minutes away from the Glendronach distillery and her parents still reside there; her father used to teach her how to surf on the beaches of Glenglassaugh. The three distilleries are only 25 miles apart in the Northeast of Scotland, and her roots in Aberdeenshire go all the way back to the 1770s near Glendronach. The timing was right as well. It proved to be an easy decision. 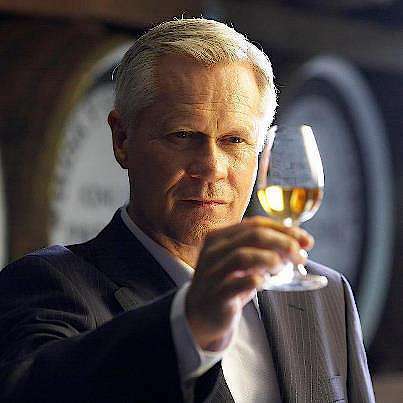 “For me, it has meaning, it has a purpose and it allows me to connect everything in my being with whisky more than ever before, you know. Whisky is my life. And it’s part of my life, it’s part of my past, present and future. 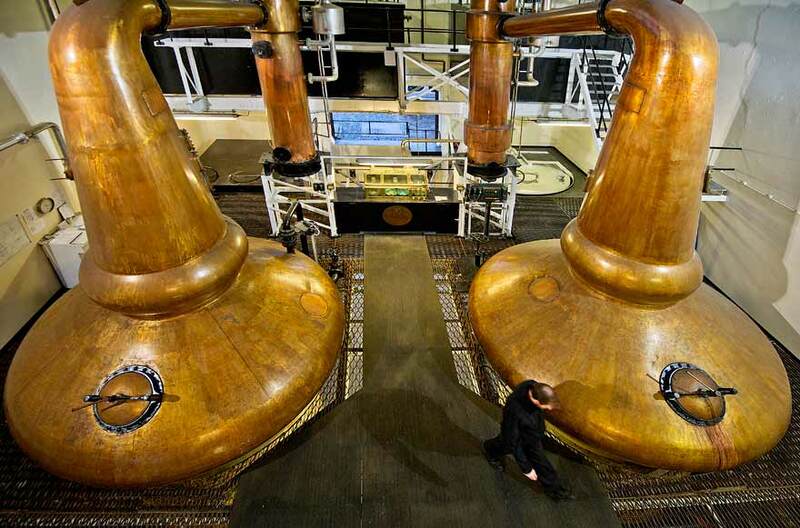 The three distilleries in the northeast of Scotland… it’s like going home,” she beamed. This traditional approach seems to extend to the casks that they use as well. 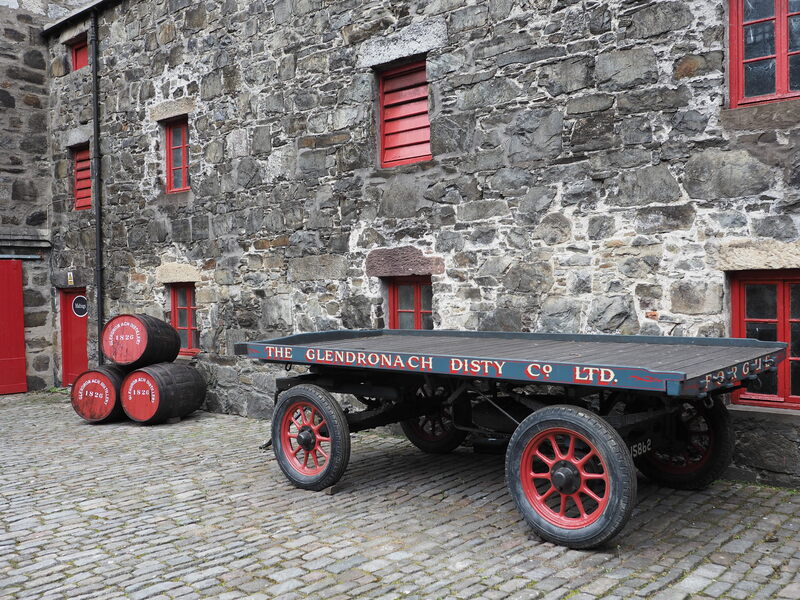 Rachel claims that Glendronach uses only Spanish oak – not just European oak – from Galicia, which costs a lot more. Not many distilleries will claim that they do so. Between Pedro Ximenez (PX) and Oloroso, the bread and butter of sherry-driven whiskies, Rachel tends to lean towards PX as it “amplifies the true character of Glendronach”. Rachel thinks it’s possible that Glendronach buys the most PX casks in the industry. I was genuinely surprised to hear that new-make Glendronach will give you hints of brambles, leather and tobacco right off the bat. Sherry casks are apparently what makes the Glendronach come to life, hence there’s a lot more first-fill sherry casks at the distillery than ever before. It was my time to be a little naughty. What about the oft-talked-about change from coal-firing then, I asked. Does it not change a thing? An unfair question perhaps, as it happened long before her tenure. “That didn’t have a big influence on the character. That was (just) one element,” she explained without missing a beat. To her mind, it was less of a factor than maturing the spirit in the dunnage warehouses deep in the valley with its unique air and natural flora, temperature and humidity. The very slow and steady maturation, she notes, makes for a very mellow, deep, long and richly satisfying finish. Perhaps more importantly, the distillery has been left to its own devices and in the hands of employees who knew best. “People are really starting to realise that Glendronach is one of the best. And it’s because it’s the ‘old style’. And corners have not been cut by accountants or efficient engineers who perhaps don’t understand the nature of the malt,” she beamed. Since its revival under the watchful eyes of Billy Walker, that had certainly been the case. So much so that The Glendronach 15 aka The Revival had to be taken off the market for three years. The return of The Revival coincided with Rachel taking up the reins, so what has changed between the old and the new Glendronach, really? The answer may shock you. 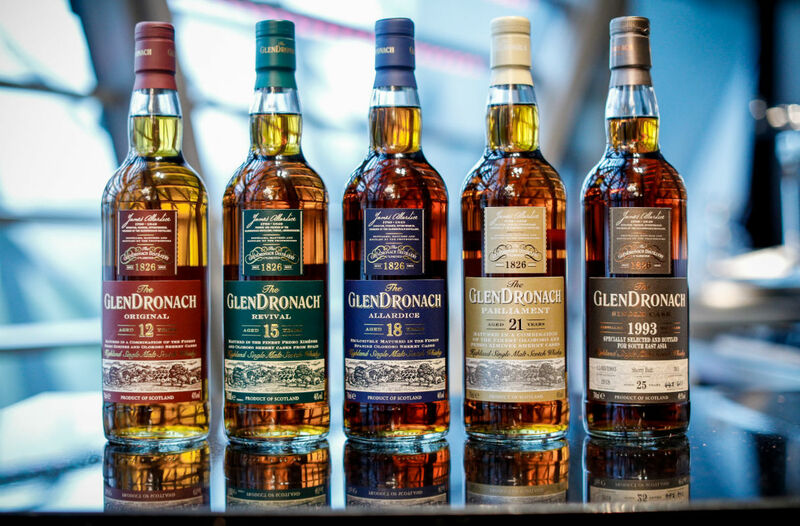 “Since I’ve started, I’ve looked at Glendronach 15 over the years and it did vary a lot. Batch to batch, in terms of cask allocation, it varied – it varied more than I had thought,” she shared. While there was nothing wrong with such an approach, it did leave her puzzled; at least initially. But going forward, Rachel decided that she would strive for as much complexity she could get at that age, and at the same time, it would have to be a recipe that is consistent and sustainable over time. The conversation on Glendronach highlighted significant developments that came with new ownership. While it wasn’t the case before, every single drop of Glendronach will now be filled in sherry casks. 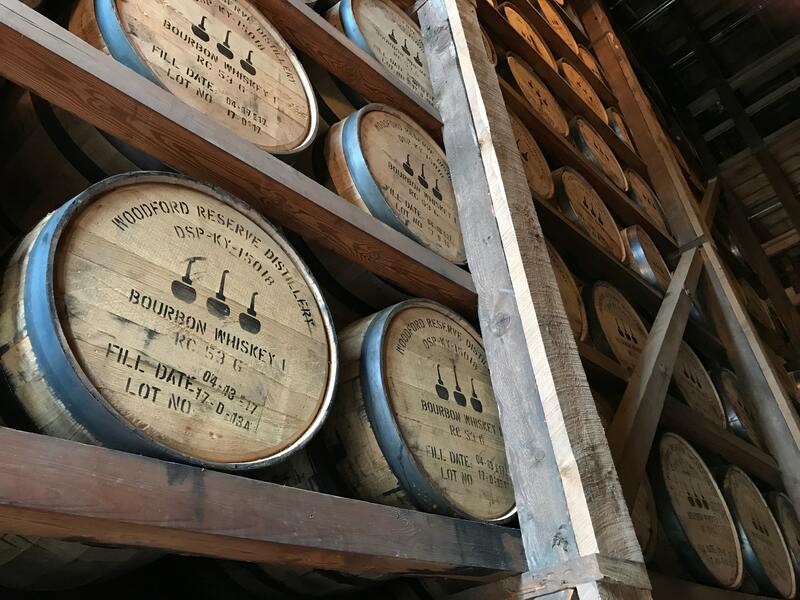 Brown Forman’s clout in the American whisky industry also meant that they are now able to work closely with cooperages in Alabama and Kentucky. For example, with the new ownership, Benriach is able to get a consistent supply of ex-Jack Daniels casks. Rachel now has the luxury of experimenting with ex-Woodford Reserve casks as well as virgin oak and in a variety of toasting and charring levels. Previously, the supply of ex-bourbon casks had all come through Speyside Cooperage. It’s not to say that the casks that come from the Cooperage are of questionable quality but the casks could have from Heaven Hill, Jack Daniels or Beam – it was certainly like a box of chocolates. Which is good if you’re popping them off while bingeing on Netflix. But with a consistent and transparent source comes consistency, control over quality and traceability, which also improves the process of cask management as well as Rachel’s ability to analyse and understand the process of whisky making at the distilleries. The influx of a consistent source of casks will be a boon for Benriach, which has traditionally been one of the more experimental distilleries in Scotland. Rachel shared that she currently has her eye firmly on Californian winemaker Sonoma-Cutrer, which is part of the Brown-Forman stable. She wants the casks for Glenglassaugh, Brown-Forman’s third and most low-key distillery, simply because both vineyard and distillery share the fact that they reside by the sea. The thought of the opportunity to explore the influence of the sea and the coastal influence, along with the potential synergy and synchronicity, excited her. So, plenty of changes afoot then? Well not exactly. “My approach to blending is to look deep into the distillery, understand it better, and bring it to life. So whereas, historically there were the same experiments at the old distillery; for example, virgin oak would have been done here at Benriach, at Glendronach, at Glenglassaugh. So the same experiments, same woods, throughout all of them. It’s kind of like the distilleries have grown up and they understand themselves as individuals. They know what they like, they know how they work best. I’m kind of bringing that up and ensure that their character is best brought to life,” she explained. 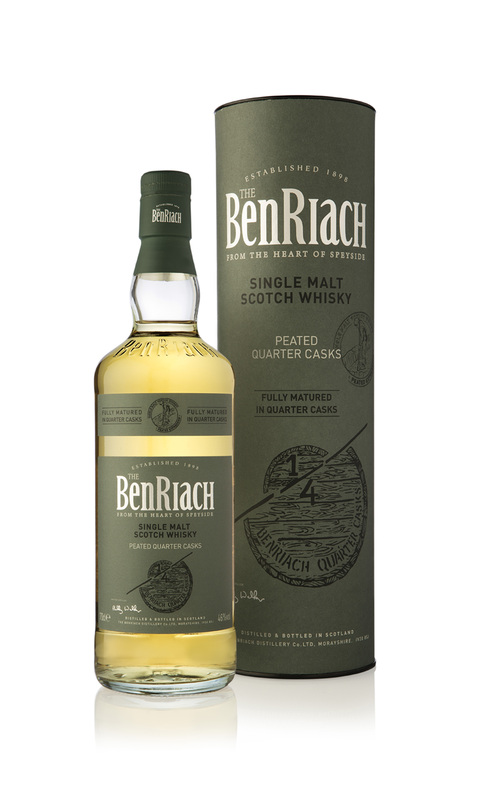 For an affordable, ‘everyday’ malt, the Benriach certainly was lively and daint of feet. For a slight change of pace, there’s also a peated version and Rachel was quick to add how fortunate they were to have old stock of peated whisky, considering that few Islay distilleries have the luxury of sitting on that much aged peated malt. Benriach still offers the Authenticus in 30 YO bottlings as part of their permanent range. Like many distilleries, while predominantly unpeated, Benriach will distil peated Benriach every winter, as it would have been traditionally done. It’s funny the practice started simply because it was really cold so you needed more heat and hence, more peat. Benriach does it for a month, typically in January. Layered with sweet smoke, the peated Benriach is the classic peated Speysider, albeit a basic one, which eschews the medicinal, salty smoke for a barbeque mist. Bonus nugget of information: Benriach’s peat comes from the Caledonian forest. As distilleries go, Rachel has the most fun with Benriach. The versatility of its spirit is akin to an artist’s palette and canvas, and very much in keeping with its name: the hill of variety. “This is the most curious one, the one I can be really courageous with. It’s like being a child in a sweets shop because if you go to warehouse 13, there are 30 different cask types – marsala, some moscatel, rum, port, different types of sherry, virgin oak, toasted charred, and quarter casks, hogsheads, everything. It’s great. It’s fun, you can play with it. It’s got that more vibrant character, it’s got vitality, it makes you want to get up and dance,” she gushed. Between Glendronach and Benriach, there’s a full gamut of guilty pleasures ranging from leather Chesterfields to Strictly Come Dancing. There’s something for everyone. Aside from a couple of releases here and there, little has been heard from the beaches of Glenglassaugh. But that’s to be expected given that the distillery was only reopened in 2008. Apart from old stock and some young work-in-progress offerings, little could be done to promote the distillery when it did not have a regularly available malt. But all that is set to change as its whisky is now coming of age. 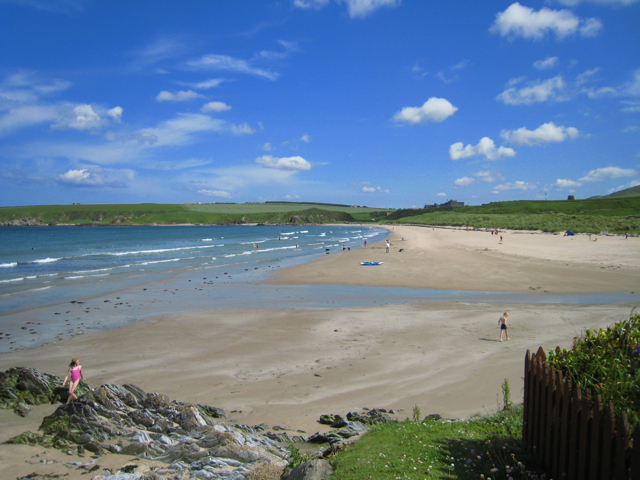 Not many would have figured Glenglassaugh to be rich with anything other than sea life and stormy waters but its actually a good place to surf as well – as Rachel can testify, having surfed as a youngling under the tutelage of her father. Aside from the ocean, the hills behind the distillery are rich in serpentine marble and lime and deliver mineral-rich spring water to the distillery. The area also used to be home to limestone kilns where they would make glass from lime and potash. The aptly named distillery – the valley of the water of life – is shaped by the water; and the land, which is rich in barley. Rachel was certainly happy to play up the rose-tinted romanticism but she’s speaking from experience and one might not be surprised that it was part of the attraction in moving over to Brown-Forman. But there’s more to this than just mere prose off the back of a cardboard carton written by an overzealous intern. “Glenglassaugh develops a ‘very marmite’ umami and tropical taste and I think because it’s right beside the sea, it’s got a very long fermentation in wooden washbacks, and it almost creates like a sour mash character, in a good way, that is almost like over-ripe fruit. You know, like some of the tropical fruit you get here, like mangosteen – it’s almost like that, in the beer, in the wash, before it’s distilled,” Rachel claimed. She attributes this to the influence of the sea and the sea air, along with the unique microflora that seemed to encourage the emergence of tropical fruit notes and a little saltiness, the latter of which amplifies the sweetness inherent in the malt. The casks are aged on site so they do lose alcohol a bit quicker due to higher humidity. Interaction with air is much higher so a lot of hydro- and alcoholysis and breakdowns take place, which contributes to those notes. Coupled with the coastal influence and an oiliness, Rachel argues that, uhm, arguably, Glenglassaugh is the most distinctive of the sweet single malts, and there’s nothing quite like it. Nothing quite like a taste to prove a point, but unfortunately, Rachel had none on hand, so the tales will have to do for now. The workings of Genglassaugh also helped cement her belief that her task was to nurture what nature had provided. Apparently, while under the ownership of Highland Distillers, the distillery was trying to tweak its output to be more like Glenrothes and to be used in Cutty Sark. However, they tried everything, but they could not change the spirit’s character. You’d think it was a good thing, but as the time production was geared towards blends, the unique nature of Glenglassaugh was a detriment as there would be no Plan B, i.e. no ready substitute should anything go wrong. Paradoxically, she said, what was once a challenge is now an opportunity. Part of her excitement stems from the fact she pretty much has a clean slate to start on, and she has recipes and cask selections on her mind. “It’s a playground for me. I’ve also got some wood finishes that came out for Glenglassuagh: peated virgin oak – this is from experiments we’ve done in the past – peated port, port with Pedro Ximenez and these all are different facets of what I called shaped by the land and sea, because the motto on the bottle is ‘per mare per terra’ – by sea, by land,” she beamed. Provocatively, she also suggests that Glenglassaugh will remind you of old-style whiskies; the sort you’d spend hundreds on at niche bars like the Auld Alliance and the Swan Song. So why is it so difficult to recreate old whiskies? “Everything makes a difference, that’s all I can say. Anything that can change (and has changed), makes a difference,” was the reply. Short of getting a Tardis, that is. So how and why has whisky changed over the years? There wasn’t time to have a meaningful conversation on the topic but Rachel did point out one subtle difference. “Malt whisky is technically still the same process. Water and yeast, matured in casks. However, there is more focus on flavour than ever before, more focus on malts rather than blends, developing character through maturation, through experimentation with different woods to really nurture the best of the malt. That’s (happening) more than ever before,” she said. The cutting edge of ‘whisky tech’, as it were, were blending techniques. It was blending that created the complexity that gave Johnnie Walker and its peers their esteemed reputation. More than that, the knack for managing stocks, being able to substitute one malt for another to sustain a blend – these were what drove the industry and made its name. Rachel feels that as a result of current trends, there is now a focus on distinctive character and flavour, which would partly explain the collective efforts in trying to source and use better wood; many distilleries these days go to great lengths to highlight the strengths of their cask program if it suits their cause or narrative. Speaking for herself, her recipe for a great single malt is to develop and ensure a great distillery character by nurturing the spirit in good wood. Good quality wood doesn’t change the spirit character; it makes it shine and enriches it. Hence, Rachel concerns herself with finding ‘the guts’ of what made those whiskies great. With a Glendronach it’s trifle, leather and a rich, deep heartiness; a robust Highlander that people identify with the old school. Whereas with Glenglassaugh it’s tropical fruit. Her goal is to bring more of those characteristics out – essentially, nurturing what nature – and science, for that matter – can produce.